Home wireless network is something that is widely in use. 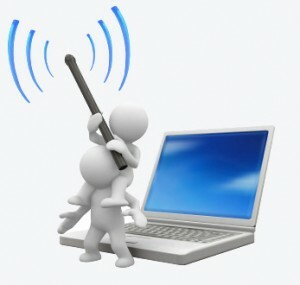 Most of the households have a wireless router that is connected to a cable modem through which Internet connection is shared. The signals that the routers transmit, dubbed as Wi-Fi, can be used by laptops, desktops, smartphones and many other Wi-Fi enabled devices. The most common problem that most of us face through this technology is the speed. The fluctuating speeds are a constraint while performing crucial tasks. Simple steps when followed, would improve the speed. Given below are a few tips that would be of great use. Confirm the speed of the connection. This is to ensure that the provider is offering the same speed as promised. LAN speed test software can be used to check the upload and download speeds. This would assist you to upgrade to a higher speed if necessary. Check for providers that offer high speed and switch over to them if needed. The router’s configuration will have a list of devices that connect to the wireless network. This list has to be checked frequently to avoid intruders. If you find trespassers, change the password of the wireless system. “Upside – Down internet” can be used to make the screen of the Wi-Fi thief go blurry or something funny. There are high chances that the speed increases when the home network is restarted. Computers that are infected with virus would be extremely slow – clean the computer by running the virus scans. Deleting old files and emptying the recycle bin will also improve the speeds, in short, optimize the cache delete all unwanted files. Always use the updated versions of anti-spyware, antivirus and firewall programs. The proper position of the router is an important factor. Do not place the router behind the house or in the garage or below the basement. The signals that are transmitted would be very weak. Routers should not be placed near the walls or metal objects. Move the router to a place where you can get the maximum signal strength. If you would like to make any changes in the equipment inform the service provider. Wireless routers have different transmission channels, very similar to the radio stations. Sometimes clear signals can be found in a different channel. Check for the clear signal and change the channel through the router’s configuration page. Do not change the computer configuration as it gets updated automatically. You would be able to notice the difference in the speed. Who doesn’t love to have a speedy network? Implementing these tips does not require an in-depth networking knowledge. Start using any or all of these methods right away to enjoy top speed wireless networks.